The best way to get a view of the Wairarapa's mountains, rivers, lakes and valleys is from the air. Come fly with the professional team at Amalgamated Helicopters - they have a range of thrilling scenic flights for four passengers. Amalgamated Helicopters has been flying around the Greater Wellington Region since 1987, and their local knowledge is second to none. For extra assurance that you're in good hands, Amalgamated Helicopters New Zealand Ltd are Civil Aviation Authority Approved and AIRCARE Accredited. Scenic flights (all prices are for 4 passengers). Gift vouchers available. 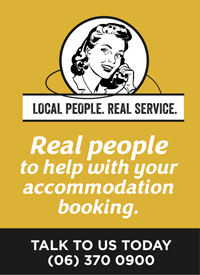 Booking's easy through Wairarapa's i-SITE Visitor Information Centres. You're on the list makes experiencing a helicopter flight within reach for almost any budget. Vouchers are available as single seat passengers and Amalgamated Helicopters will match you up with others in the same situation to make a flight of 4. Some flexibility is required but weather permitting flights are planned for almost every weekend of the year and weekday evenings during summer. You can purchase up to 3 single seat vouchers. Contact Amalgamated Helicopters if you have any questions. This flight is the Mt Holdsworth and Beyond flight - their biggest seller!